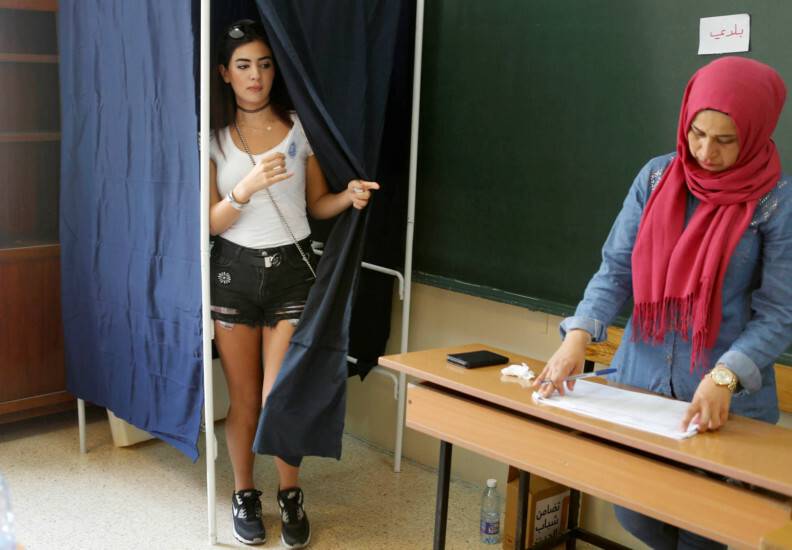 Beirut: Unlike timid turnouts in the capital (21 per cent) and the Bekaa Valley (45 per cent) a week ago, Mount Lebanon electors were expected to cast ballots in far larger numbers, as several political parties tested the popular mood ahead of eventual parliamentary polls. On Sunday, 325 municipalities spread across the six districts of Baabda, Jbeil, Kisrwan, Aley, Chouf, and Metn, were expected to usher in some new faces and, perhaps, show the mettle of both the Lebanese Forces (LF) and the Free Patriotic Movement (FPM). According to the Ministry of Interior, 834,768 voters were eligible to vote in Mount Lebanon, a figure that was relatively small given the area’s demographic realities. Interestingly, and while several municipalities won uncontested (Burj Hammoud with the Tashnag Party, Shiyyah, where candidates nominated by the LF, the FPM, the Phalange and families prevailed, while those that succeeded in Mreijeh-Tahwitat Al Ghadir was an alliance involving the AMAL Movement, Hezbollah and the FPM, etc), major contests were set in the coastal cities of Jounieh, Damour, and Jal Al Deeb, among others, amid heavy security measures. The most heated battle is anticipated in Jounieh where the LF and FPM failed to strike an alliance. In fact, on Saturday, the FPM’s Michel Aoun visited a Jounieh rally in an attempt to motivate people to head to the polls and vote in favour of the list headed by Jean Hbeish, who is backed by the FPM, the Phalange, Al Waad, and the National Liberal Party. A rival list, headed by Fouad Al Bouwari, is backed by the LF, the Maronite Foundation in the World, and former deputies Farid Haykal Al Khazen and Mansour Ganem Al Bon. In Damour, south of Beirut, a heated battle was anticipated among the estimated 10,000 registered voters where LF-FPM forces clashed even if the two principal Christian parties formed alliances elsewhere. Tough battles were expected in Beirut’s southern suburb of Al Ghobeiry and Hadath — where pro- and anti-Hezbollah votes could highlight existing rifts, as well as in Sin Al-Fil where traditional family rivalries — the bread and butter concerns of local inhabitants — tended to determine who obtained the largest number of votes. Ironically, waging intense electoral battles in the Metn region, for example, especially for the FPM, illustrated the utter confusion that permeated within both the leadership as well as at the rank and file level, since the FPM persisted in boycotting presidential elections session. The third-stage of the municipal elections will occur in South Lebanon and Nabatiyyah on May 22 while North Lebanon and Akkar will go to the polls on May 29.